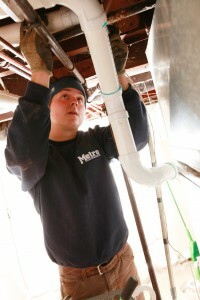 Metro Heating and Cooling is here to help answer all your heating, cooling, and Indoor Air Quality questions. Here are our most frequently asked questions (FAQs). What should I do if my heating is not working? Call Metro Heating and Cooling at (651) 294-7798 and we can diagnose the problem for you. What is the life span of my furnace or boiler? However, if your existing heating system is more than 15 years old, you might save money by replacing it with a new, more energy efficient model. Annual savings on the newest, energy efficient gas furnaces can be as much as 35% when compared to older units, making it a worthwhile investment. However, depending on your usage, system and environment you might need to change filter more often. If you’re not sure when you should change your filters, then call us at (651) 294-7798 and we’ll help you out. How often should I have my furnace checked, serviced and tuned? It’s important to remember that the operating costs and repair costs for older inefficient models can quickly add up. Often, it is more cost effective to replace your old air conditioning system with a new one that will lower your electricity costs. You can improve your indoor air quality to help reduce the amount of pollution in your home and to improve health. The latest technology uses ultraviolet-light and high-efficiency air filters to combat air pollution in your home. Metro Heating and Cooling offers systems with high-efficiency air cleaning with HEPA filters, which remove most particles from the air. Not sure what you need? Contact us at (651) 294-7798 now and tell us how we can help you. How can I save on my monthly winter energy bill? Need more HVAC help or advice? Simply Contact Us at (651) 294-7798 now, and tell us how we can help you.